Need a deal on a Philips Hue Go lamp for Christmas? Then you've walked into the right internet door, as this is T3's expertly curated Philips Hue Go deals guide. The Hue Go one of the most stylish products yet in the Philips Hue lighting range, and we can lead you straight to the best price online – check out the list below for the latest and greatest deals based on comparisons across a wide range of retailers. 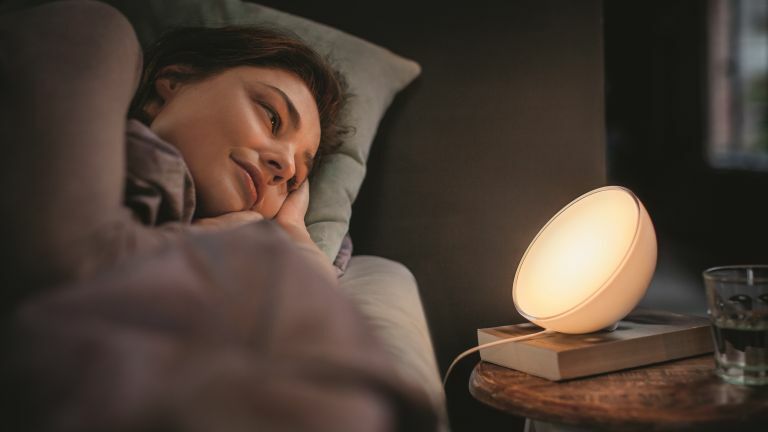 The Philips Hue Go lamp is an upgrade on the older Philips Hue bloom lamp, (which you can still buy) as light shines throughout its entire casing, rather than just out the front. It's essentially half a sphere of glowing light, that you can adjust via an app to display colours from a range some 16 million strong. Remember as you shop for the best Philips Hue Go deals that you also need a Philips Hue Bridge to change the colours. These come with the Philips Hue Starter Kits, or can be bought as standalone products too. As we explained above, the Philips Hue Go lamp is a half sphere (not a bowl) of warm glowing light that can be used all over your home to display millions of colour variations. Lie it flat, place it at an angle – it looks fantastic either way. Turn the Hue Go to face a wall, and the light spreads upwards across the surface in a pleasingly subtle effect. The lighting on the Hue Go isn't as harsh as the Philips Hue Bloom, so you can have it facing into the room too if you prefer. And you'll definitely want to show off the Philips Hue Go. It can go wireless too, thanks an internal battery that offers up to three hours of juice (handy if you're trying to find the perfect position before you plug it in). After the Philips Hue bulbs, the Hue Go is one of the first Hue products you should be looking at to get a smart lighting setup to be proud of. And thanks to the deals listed above, you know you're getting the best price too.